Do you need professional assistance for your plumbing system? Whether you have a fixture that isn’t working properly or a plumbing emergency, such a leaking toilet, the best general plumbing company in San Diego, Plumbing and Drains Solutions, can help. Our honest and trustworthy crew of technicians have years of experience in the plumbing industry and can resolve virtually any plumbing issue you may have. We even offer 24/7 services for your emergency repair needs, including burst pipes or broken water heaters. Contact our experienced plumbers at (619) 345-5550 to request a free quote. We proudly serve customers in San Diego. You rely on your plumbing system constantly throughout each day to function properly and when something goes wrong, it can completely disrupt your life. Our San Diego plumbers can help you get your system back on track with reliable repair services when you need them. It may be tempting to fix your broken plumbing fixture on your own, but it is important that you trust the job to an experienced professional to avoid additional problems. If you have a plumbing fixture or pipe in your home that is beyond repair, we can help. As the best general plumbing company in San Diego, we are committed to providing you with high-caliber products at an affordable price, without compromising the quality of our work. When you find yourself in need of any type of replacement or new installation service, you can rely on us to provide you with a solution that fits your needs and your budget. Call us today for a plumbing service estimate from San Diego’s top rated plumbers. 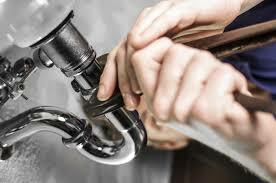 Do not let your plumbing problems go another day without repairs. Call Plumbing and Drains Solutions at (619) 345-5550 to schedule service. Ask us about our warranties!